Leadership lessons to empower you. Leadership development is vital for commercial success but in today’s non-linear, fast paced and digitalized environment, how we build leaders needs reimagining. That’s why we’ve developed truly unique leadership programmes delivered right here in the UK. Delivered by The Hunger Project-UK, the Rethinking What’s Possible workshop explores the fundamental characteristics of effective leaders through the stories of those who seemed most unlikely. People who, against all odds, are shifting beliefs and creating significant change. They do this using The Hunger Project’s 5-step Methodology to Effective Leadership. Developed over 40 years, this methodology is parallel to the world’s best practice in driving organisational change. The original launch event workshop was delivered by internationally acclaimed speaker and educator, Dr Joanna Martin, who is a committed investor and advocate for The Hunger Project’s work in empowering people to end their own hunger. Check out photos from the event. We are very fortunate that Joanna and our other workshop leaders make themselves available to lead our workshops. We’d like to thank Dr Joanna Martin, who has been supporting the UK team in launching and developing our Rethinking What’s Possible events. 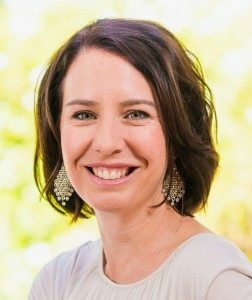 Internationally acclaimed speaker and sought-after educator, Dr Joanna Martin is a committed supporter of The Hunger Project. Joanna has direct experience of our programme work, has been instrumental in designing this exclusive workshop in Australia and the United States and is giving her time freely to support the growth of Rethinking What’s Possible in the UK.